In the documentary Surviving R. Kelly, numerous young ladies share the intense psychological trauma of abuse that they survived that was allegedly inflicted upon them by R. Kelly. But in that documentary, there's one lady who reports that she is surviving a physical illness that she allegedly contracted from R. Kelly. This young lady states that she contracted mononucleosis from R. Kelly, which led to her developing Guillain-Barré syndrome. 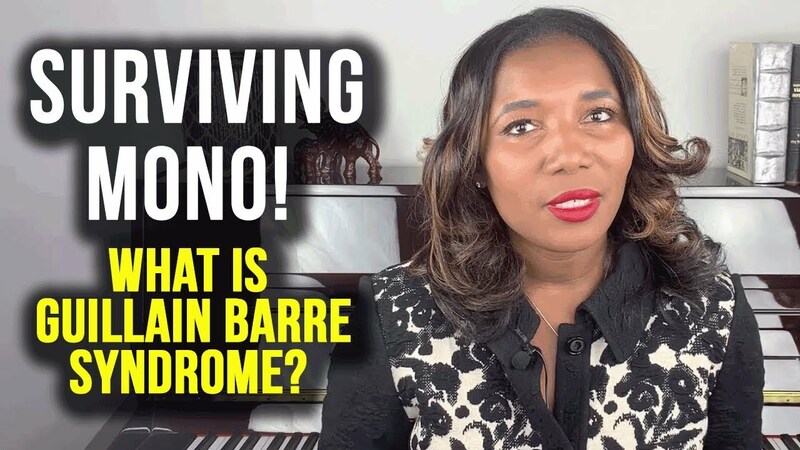 What is Guillain-Barre syndrome? And is it possible for a sexual predator to give a victim an illness that can lead to paralysis? R. Kelly is an iconic singer and performer with creativity and musical genius that is undeniable. He has been back in the forefront of the news ever since the documentary Surviving R. Kelly aired. In this Lifetime documentary, multiple, multiple young ladies share believable, consistent stories of surviving mental, physical, and sexual abuse while underaged, allegedly by R. Kelly. Though this documentary is new, these types of allegations against R. Kelly are not. Back in 1994, it was reported all over the news that the then 27-year-old R. Kelly married the 15-year-old singer Aaliyah. That same year, R. Kelly produced Aaliyah's hit song, Age Ain't Nothing but a Number. While watching Surviving R. Kelly and listening to the alleged victim's recall their horrific experiences, their pain is palpable. And you are immediately drawn into their stories of their surviving the mental and psychological trauma of the abuse. But one lady, in particular, shares her tale of surviving a physical illness. According to her, she contracted an illness from R. Kelly which led her to be paralyzed and in the ICU for two and a half weeks. This young lady reports that she contracted mononucleosis, which led to the development of Guillain-Barré syndrome. Today I will discuss mononucleosis. I'll talk about what Guillain-Barré syndrome is. And I'll answer the question that I've been getting: Is it really possible for a sexual predator to give a victim an illness that leads to paralysis? Infectious mononucleosis is an illness that is caused by a virus, Epstein-Barr virus. This virus is typically spread through the saliva, so you can get it from kissing someone, or from sharing eating utensils with someone, or from drinking from the same cup as a person who has mononucleosis. Other names for mononucleosis are mono or the kissing disease. Mononucleosis is most common among young adults and adolescents. The symptoms include fever, sore throat, swollen glands, particularly in the head and the neck area, and you can also get extreme fatigue. Most people who get mononucleosis will have a self-limited disease, meaning that they'll just heal on their own. The mononucleosis will get better. But, there are situations where you can get complications from mononucleosis. These complications can include an enlarged spleen and you can even develop a splenic rupture when the spleen just burst open and you bleed out. 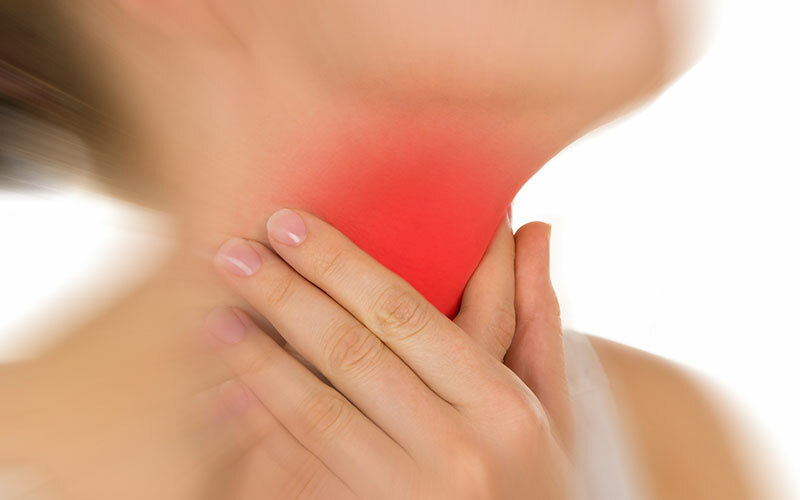 You can also have a complication of airway obstruction, typically when those swollen lymph nodes or glands are so big that they actually press against the airway and you can't breathe properly. You can't get the proper amount of oxygenation. Another complication of mononucleosis is that the Epstein-Barr virus can be associated with certain cancers, such as lymphoma. And that same Epstein-Barr virus, which causes mononucleosis in some cases can lead to Guillain-Barré Syndrome. You might also like: What Is Brain Flu? Influenza Virus Exposed! Guillain-Barré syndrome is the illness that one of R. Kelly's alleged victims states that she developed. Guillain-Barré syndrome occurs when the immune system attacks your own nervous system. So instead of your immune system fighting the bacteria, the viruses, and infections of the outside world, it turns on you and attacks your nervous system. In Guillain-Barré syndrome, this nervous system attack causes weakness or even paralysis that typically starts in the legs and ascends up to the arms, the trunk, the head and neck, the face, and the nerves of the head and neck. So if a patient develops Guillain-Barré syndrome, they may develop a severe weakness where they have difficulty walking, difficulty maintaining balance, or they may even become completely paralyzed where they can't move their legs, and then eventually they can't move their arms, and then they can't move their trunk properly, which means they'll be unable to breathe properly. Oftentimes in Guillain-Barré syndrome, patients have to be intubated. They have to have a breathing tube placed into their airway and be on a mechanical ventilator. They also often have trouble seeing, difficulty with their eyes. So, Guillain-Barré syndrome is a life-threatening illness and it does often require an ICU stay. The cause of Guillain-Barré syndrome is often unknown, but it can very frequently occur after an infection. Infections are typically those from campylobacter or from Epstein-Barr virus and mononucleosis. Fortunately, for the young lady in the documentary who reports that she had Guillain-Barré syndrome, yes, she did require a two-and-a-half-week stay in the ICU, but she looks like one of the blessed ones who actually recovered from the paralysis. But, some patients never recover from the paralysis of Guillain-Barré syndrome, and some patients actually lose their life. So indeed, it is a very serious illness. In order for Guillain-Barré syndrome to be diagnosed, there are certain blood tests that can be done and patients often need to have lumbar punctures or spinal taps. And there are treatments, but the treatments are not always exact. So in answer to the question that I've been getting so much, is it possible for mononucleosis to lead to Guillain-Barré syndrome? Yes. Is it possible for a sexual predator to give a victim a disease that leads to paralysis? Watching the Lifetime docuseries Surviving R. Kelly has been an agonizing, sobering experience. I'll be the first to admit that I have been a fan of R. Kelly's music, hands down, no question. But can you separate the music from the man? If I listened to these ladies and if I truly believe that they have been sexually abused by R. Kelly while underage, yet I continue to listen to his music, am I a hypocrite? I mean, I have always prided myself in being an advocate of women, an advocate of wellness, so can I truly separate the music from the man? Kelly refers to himself as the Pied Piper, the man who leads all of the little children from the safety of their village with his intoxicating melodies. Pied Piper. Age ain't nothing but a number. I wholeheartedly support all victims who are surviving the trauma of abuse. As a society, we are going to have to decide if we are going to speak out against abusers or if we are going to be silent and complicit. As an individual, you have to decide. But whatever your decision, just ask yourself, "Can you survive your conscience?" Can you separate the music from the man? Please answer that question in the comments down below. As always, I want you to prioritize yourself and to take care of you. Do your best to live your healthiest, happiest life.